Mental Health has been a hot topic these last couple of years. More and more public figures and athletes are coming forward to end the stigma. Mental health is something that has been seen as a weakness in the past and as athletes, you want to be seen as nothing short of strong. Therefore, athletes are hiding in the dark and struggling in silence with their mental illness. When really mental illness is just being sick, not weak. Athletes are often idealized in the media to be seen as invincible and people are led to believe that athletes are immune to such problems as mental illness. Athletes are perceived to be extremely healthy individuals because they are so active and in such good shape. However, at the end of the day, elite athletes are only human. Now, hockey has seen some of the toughest athletes to ever play a sport. Some of those tough guys have lost their battle to mental health all because they were worried about being seen as weak and losing their reputation. Take Derek Boogaard, one of the league's “enforcers”, or the tough guy you did not want to cross. Boogaard fell victim to a mix of prescription pain killers and alcohol that brought him to his death. He was feeling pain that only he knew about, not showing anyone this side of sadness that he felt. There are numerous examples of professional athletes coming forward to talk about their own struggles, finally opening the door for others to speak out about mental illness. 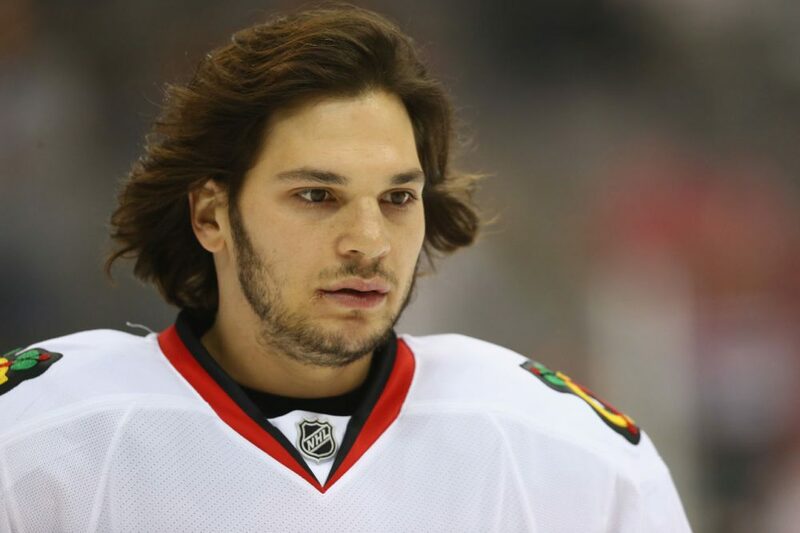 Dan Carcillo, whom most recently played for the Chicago Blackhawks of the National Hockey League (NHL) came forward to share his battle with substance abuse. He has reached out to the National Hockey League Players' Association (NHLPA) trying to make a difference for others who suffer from mental illness in the NHL. He also established the ‘Chapter 5 Foundation’ which is dedicated to helping players who are struggling from post-concussion syndrome, anxiety, and depression. He essentially won over support from the entire hockey community both professionally and recreationally. Having these tough guys talk about how it’s okay to not feel okay is only the beginning of ending the stigma. If an athlete is injured, they are treated immediately to encourage rapid healing. Mental illness should be treated the same. An athlete should not fear reaching out to get help because they are feeling sad. An athlete’s mental health affects their performance just as much as a physical injury so why not have a sports psychologist on site like you would medical personnel?